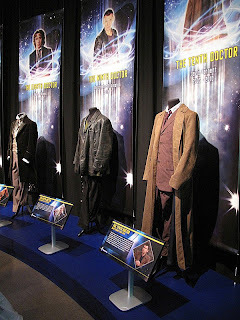 This weekend (Sunday 20th February) sees he official opening of the Doctor Who Experience exhibition at London's Olympia. 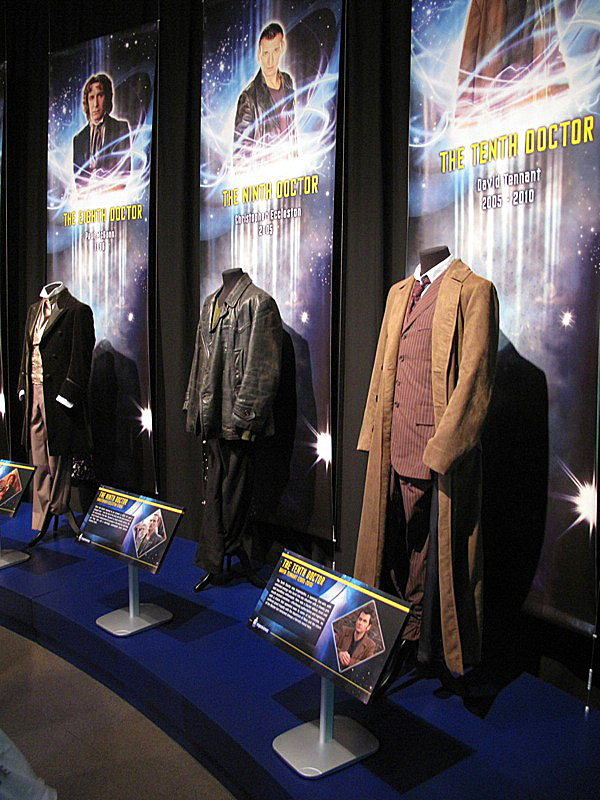 Amongst the displays is a definitive collection of costumes worn by The Doctor through his regeneration. Some out of necessity are replicas, but many are original and screen-used. 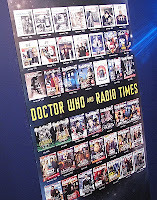 I have already written a full review of the exhibition, but here is a more targeted write-up focusing on the items of interest to a Sixth Doctor fan and giving them a more detailed look. 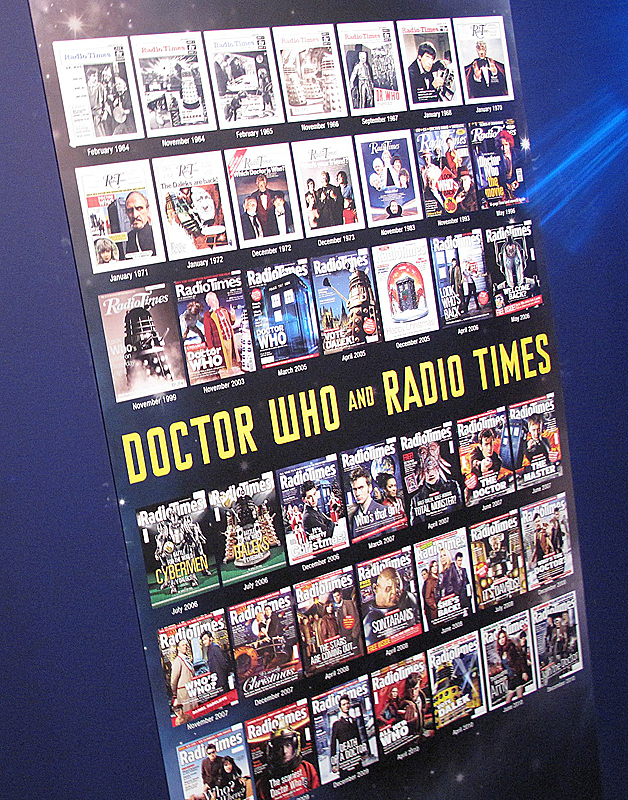 Although never during his rein as The Doctor, Colin Baker did scrape a couple of Radio Times covers for subsequent retrospectives on the 30th and 40th Anniversaries. 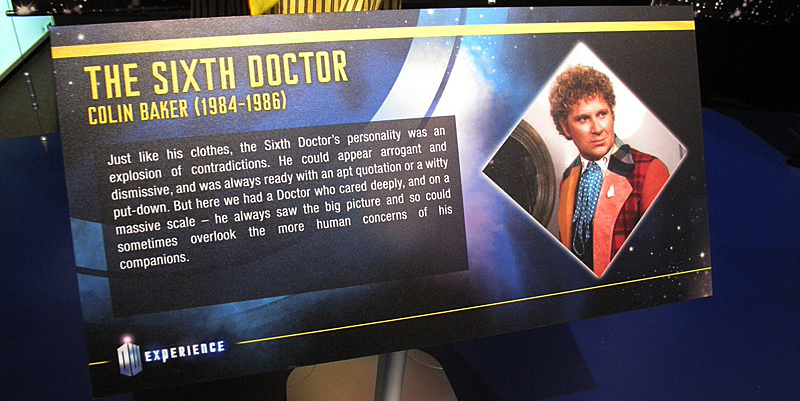 If you are a big Sixth Doctor fan, I’m afraid you will probably leave the exhibition a tad disappointed. Although surrounding Doctors are represented by original, screen-used garments, his iconic multi-coloured frock coat is annoyingly a reproduction, despite there having been an original on display at the now closed Blackpool show. Why this has happen is not yet clear, though it has been claimed to be the real deal, but I can assure you it is most definitely not. 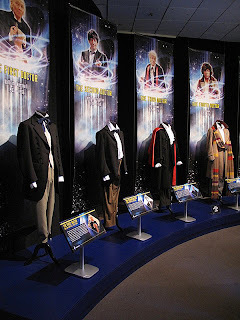 The rest of the outfit on display looks to be screen-used, with shirt, trousers, waistcoat and cravat. 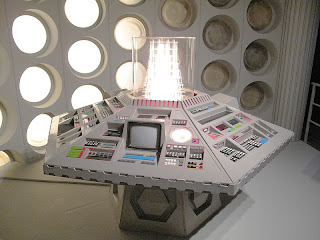 Since he never carried a sonic, you’ll now have to wait until the 1980s console room for a glimpse of something Sixth. 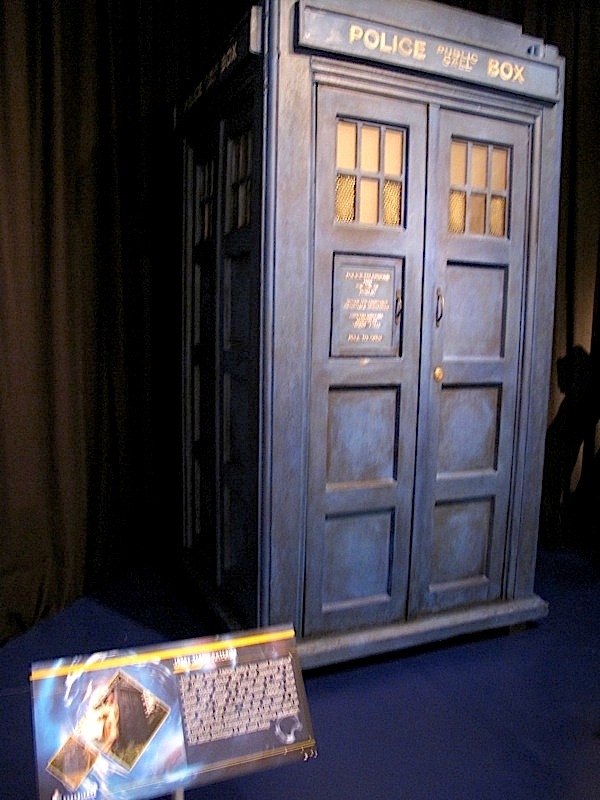 There is also a 1980s Police Box on display, but it is unclear if it relates to the either Baker eras, Davison’s or McCoy’s. Does anyone out there know for sure? 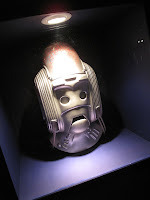 On a more upbeat note, the display of Cyber heads includes the Cyber Controller’s head from Attack Of the Cybermen. This is the first in the line-up that is actually screen-used. And that – like Colin’s all to brief run in the part – is all there is from his era. 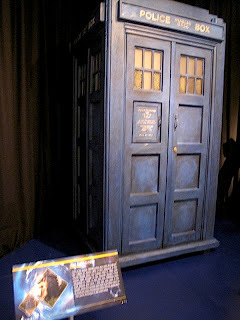 As I understand it, the police box prop is the Tom Yardley-Jones "mark II". Essentially identical to the mark I (which was first seen in the Leisure Hive), the Mark II made its debut in the Trial of a Time Lord and was used interchangeably with the Mark I throughout the McCoy era.